A complete collection of award-winning Brisa Gel products essential to creating beautiful, long-lasting nail enhancements. Includes an illustrated workbook and DVD featuring detailed step-by-steps and cutting-edge techniques from th.. 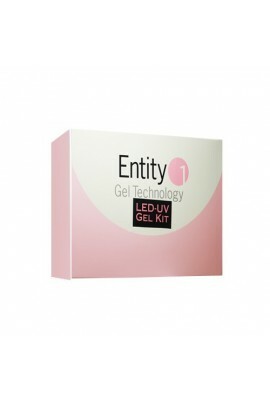 Entity One Gel Technology. Using innovative nanotechnology that cures within the nail enhancement, our proprietary formula lets you create nails with a shine, scratch resistance, and durabilitylike you've never seen before. What's mo.. Kit includes: Entity One LED-UV White Pink, Clear 0.32oz / 9h Entity One UV Gel Topcoat - 0.5oz / 15ml Gel Brush Nu Bond Non Acid Primer - - 0.5oz / 15ml Fuse Nail Adhesive - 0.25oz / 7.5ml Cuticle Oil - 0.125oz 4ml Brush Wi..
Includes everything you need to create 55 full sets of the most durable, flattering gel It! gel nails your clients have ever worn. Gel It! is a complete LED/UV traditional gel system that offers a wide variety of French Manicure options. Eas..
EzFlow Master Artist Kit is comprised of samples of our Design Colored Acrylic Collections, Boogie Nights Glitter Acrylic Powders and Primary Colored Gels. Also included are clear powders for mixing, Q Monomer, nail tips ..
Gel Kit! Now your business is really beginning to gel! Here's everything you need to create 55 full sets of the most durable, flattering Gel It! gel nails your clients have ever worn. 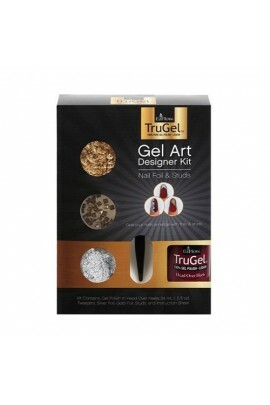 If you're introducing gels as a m..
TruGel’s Gel Art Designer Kit contains all the accessories needed: deeply pigmented shade of TruGel gel polish in Head Over Heels, edgy studs, gold & silver foil and easy-to-use tweezers. This kit allows you to experiment with nail art to .. The latest innovation from EzFlow… has salons all aflutter 100% gel delivers mega-shine and long-lasting color Brushes on like polish for quick application Formulated to cure under both LED and UV light Soaks off e.. This is the gel kit for every professional. It includes a complete line of products needed for gel applications, in a neat, organized carrying case. Professional Kit includes: Clear Gel - 0.5oz Clear Builder Gel - 0.5oz Ult..
2g of each - blue, red, green, black, white & yellow art gels; includes a stylus ..
Our Gel Paints in this kit are very opaque and work great for painted nail art! 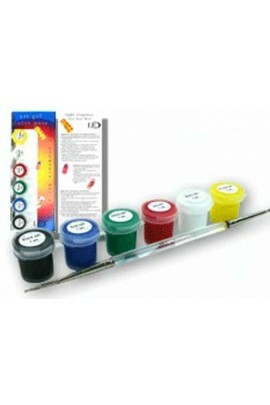 Gel Paint Kit contains: 2g of gel paints in the following colors: black, red, blue, yellow, white and green. Also comes complete with art brushes; long, medi.. 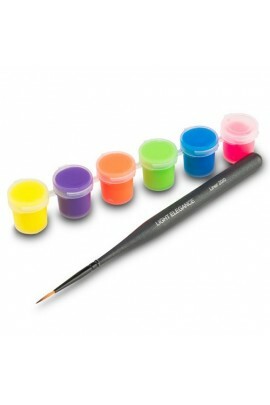 Neon Gel Paints in this kit are highly pigmented, very bright and work great for painted nail art. These also can be used as a gel polish with one coat coverage! Neon Gel Paint Kit contains: 2ml of gel paints in the following neon colors: .. 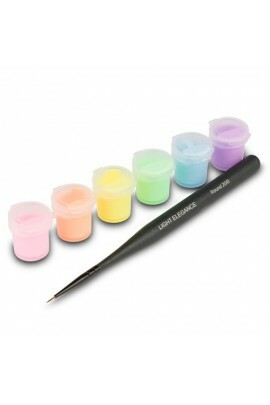 Pastel Gel Paints in this kit are highly pigmented, very bright and work great for painted nail art. These also can be used as a gel polish with one coat coverage! 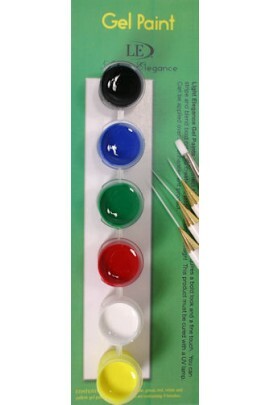 Pastel Gel Paint Kit contains: 2 ml of gel paints in the following pastel c.. 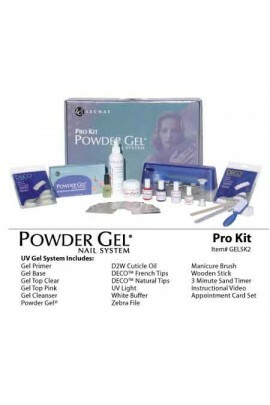 This is an AWESOME kit for nail techs that want to get into gel Pedi-Cures! It comes with everything you need to start doing gel pedicures. Pedi-Cure Kit includes: • Pedi lamp, includes one 9-watt bulb • 1 Airbond &nda..
FOUNDATION - Soak Off Base Gel Creates the adhesive bond between the nail plate and gel products while not damaging the nail plate. Works as a base for Gelish® Structure Gel or Gelish® Soak-Off Gel Polish. Cures: 5 seconds in LED 18G Light, 10 sec.. The Gelish Basics Kit a complete package of the essential products necessary to properly apply Gelish from start to finish excluding a light and your choice of Gelish Soak Off Colored Gels. 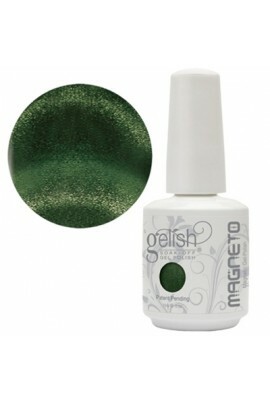 The Gelish Full Basics Kit Includes: •..
Gelish Hard Gel is a new LED Gel technology. Reveal elegance with thin natural looking nails perfect for everyday wear. The pristine performance of these thick viscosity gels utilizes Gel Suspension Technology which assures total control.. The Gelish Basix Kit a complete package of the essential products necessary to properly apply Gelish from start to finish excluding a light and your choice of Mini Gelish Soak Off Colored Gels. The Mini Basix Starter Kit Includes: • Fo..